One passage of the Bible that a lot of people stumble over is found in Joshua 10. The Israelites were engaged in a battle with Adonizedek, King of Jerusalem. In order to gain success, Joshua prayed to the Lord, “Sun, stand still at Gibeon.” As a result of this prayer, the sun stayed in the sky for a whole day. In other words, sunset to sunset lasted 48 hours instead of the normal 24. Those who want to criticize the Bible maintain that this could not possibly have happened, posing problems such as people and objects flying off the Earth by inertia. These problems are not really valid. The Earth would not have had to stop rotating. Perhaps it could have slowed to half its rotation speed, with a decent deceleration of a few minutes – though that is only speculation on my part. Recently, a science news article has suggested that the account might refer to an eclipse rather than a change of movement. Scientists at Cambridge University point to an Annular Eclipse of the Sun on October 30, 1207 BC. However, this does not explain the length of the day. Moreover, Archbishop Ussher, careful researcher that he was, dates the event at 1451 BC, nearly 250 years earlier. While Ussher does allow for margin of error, he is unlikely to have been so far off. Whatever the truth is, the Bible records the sun standing still as a real event. We can accept that truth even if we do not yet know how it happened. Ref: Daily Telegraph, , accessed 10/31/2017. 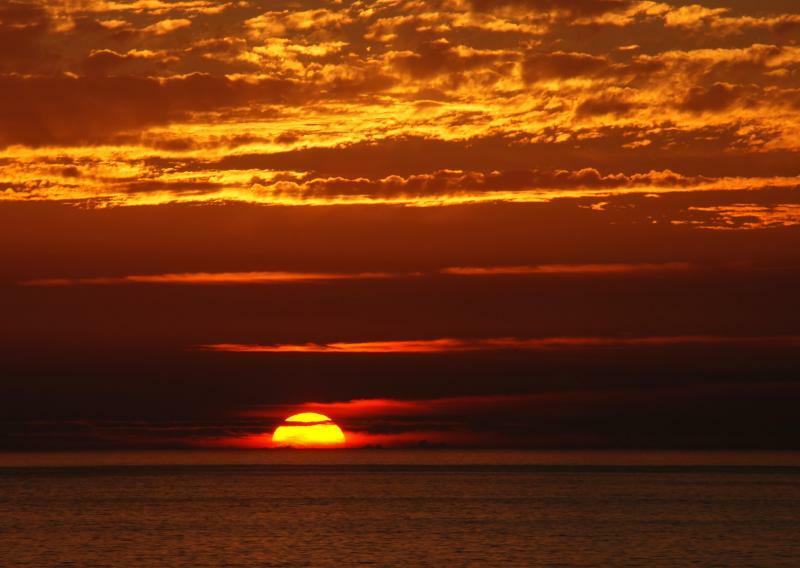 Image: Sunset in Portugal, License: Creative Commons Attribution, Share-alike 3.0 Unported.